The Cloud Forest: Every wall here is climbable, most don’t have routes yet. 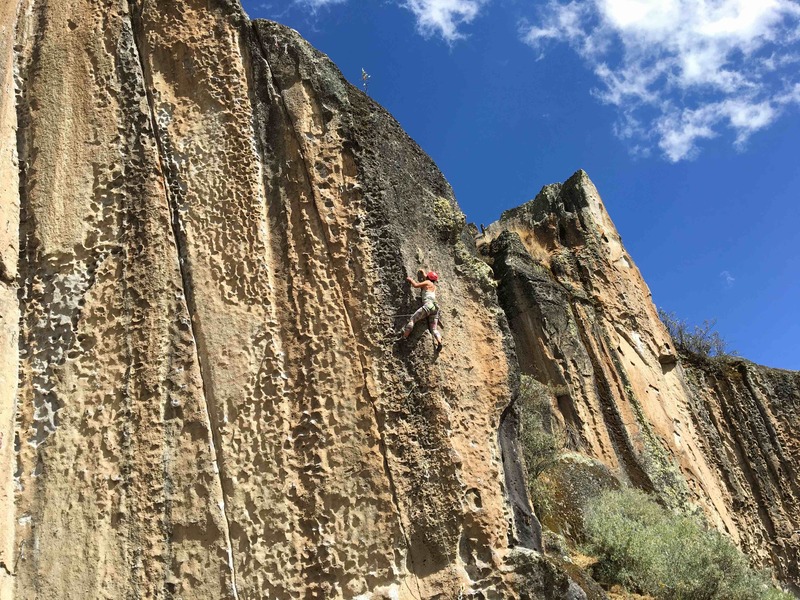 Hatun Machay is a sport climbing paradise with around 26 bolted walls, lots of bouldering and tons of opportunity for more. However, the decade long proprietor of the hostel here who bolted a lot of these routes, offered climbing rentals, etc. was evicted in July from the area. When his lease was up for renewal he tried to buy the land, but the community refused. He put a lot of investment in this area so he tried to go straight to the government, but failed and eventually was forcibly removed. In a final act of revenge he returned to wreak havoc. Breaking all the beds and doors to the hostel and clipping many of the routes completely. Currently there isn’t an accurate guide on the status of all the walls or ‘districts’. I found that some were completely untouched (Espanoles, Fideo Britchera), some were just a little run out with the first bolt clipped (Tiron del Sur) and some were completely taken down (la muralla). 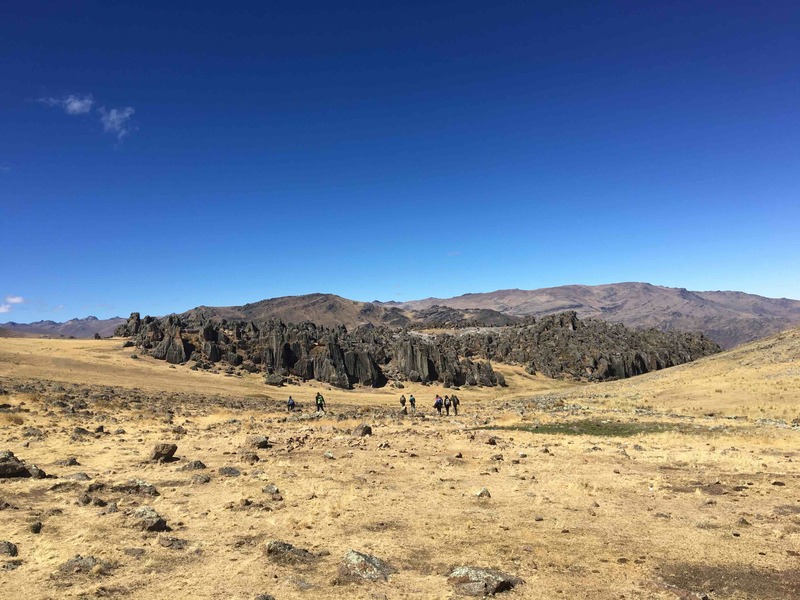 The most sad thing is that the community doesn’t seems interested in investing in this area to repair the damage so the best rock climbing area in Peru may stay in this state for some time. The situation has also been discussed here and here. Refugio and campground (foreground). People are eating breakfast at some stone tables. However, despite this sad event there is still plenty to climb with hundreds of previously bolted routes. People spend weeks in this area, I spent three days with a cost of 20 soles a night in the campground. Most people come with climbing partners, but as climbers are typically pretty nice. 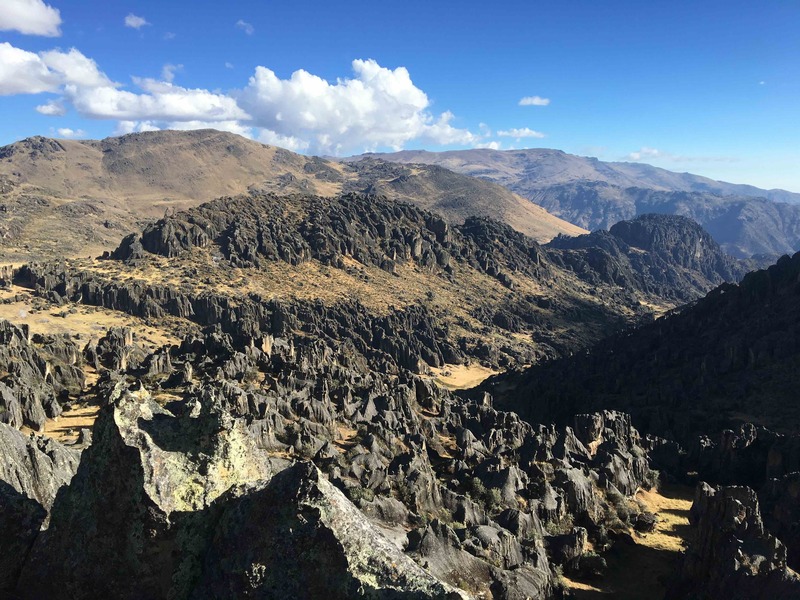 I was able to tag along with a group of Ecuadorian travelers and Chilean mountaineers for a couple days. ToposPeru has a great climbing guide free online, but everyone also uses this amazing physical climbing guide book for around Hauraz which I couldn’t find for purchase online but is available everywhere in Hauraz. 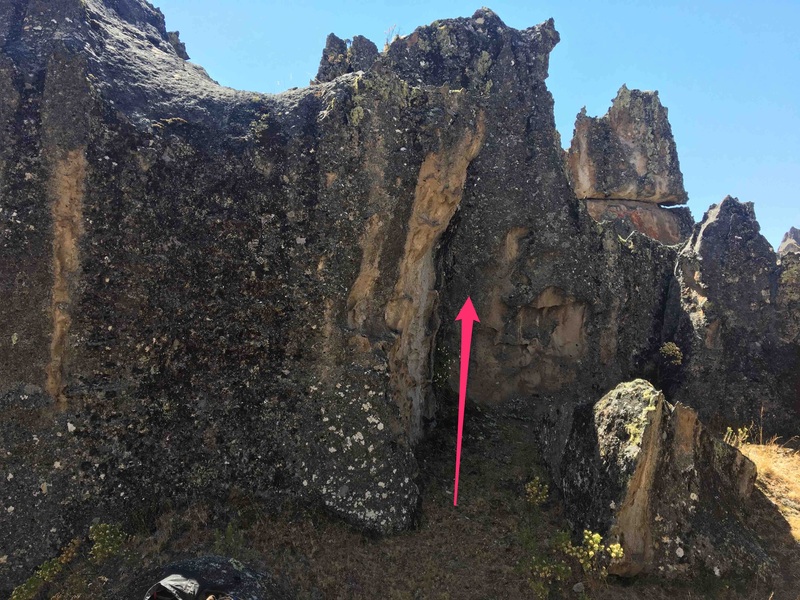 The rock at Hatun Machay is volcanic and sharp, but holds were typically pretty large and didn’t leave you crimping on a sharp edge. I came to Hatun Machay partially to aclimate before the Cordillera Huayhuash and at 14,000 ft it lends itself to mountain weather. Hot in the sun, cold in the shade and frost in the morning after a silent, star engorged night. Unlike popular Californian crags there is no race to the rock or competition for routes. Most people operate on South American time  leaving the refugio for the day at 11am. I came to Hatun Matchay with shoes, harness and belay device and was fully dependent on the good will of the new Ecuadorian and Chilean friends for rope and quickdraws. With their encouragement and beta I even completed the hardest lead I’ve ever done outside, an 5.11b! However, on my last day I gave them a break and decided to plum out on my own. Climbing is a partners sport and I don’t like being a fifth wheel. I walked the rock forest looking for rocks with good descent routes, decently safe falls and interesting problems. The flakes and holds on these off-routes were much more likely to snap off and I quickly had to learn the difference between stable and unstable rock. Climbing 10-22 ft routes by myself in no-fall scenarios is probably the stupidest and most dangerous thing I did this trip, but it was also freeing, exhilarating and after a few hours, very tiring. 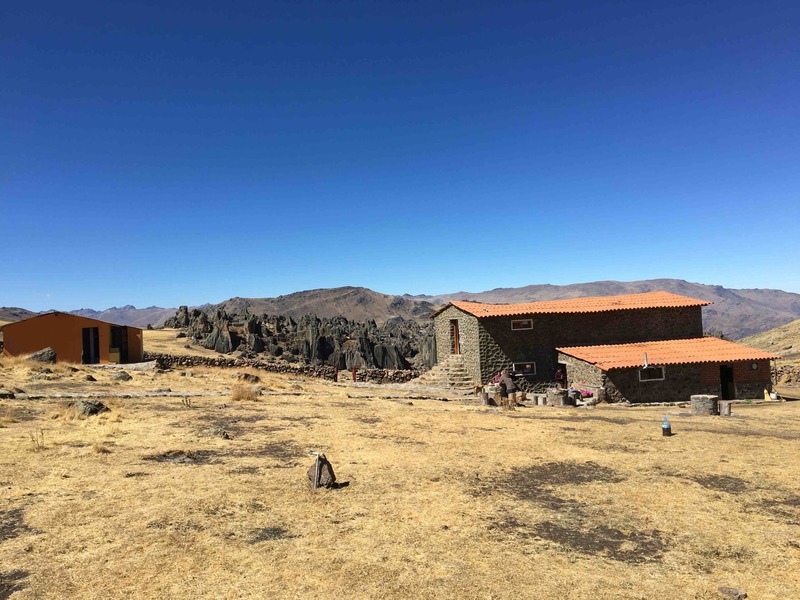 In the early afternoon I headed back to the refugio and caught a taxi back to Catac as it dropped off a couple people to Hatun Machay. You can order a taxi from the attendant, but this works too. In closing, I would love to come back and still recommend going, but I hope this area gets repaired and re-invested in. One thing I would change second time around would be to bring a partner so I could get more climbing hours in each day. While the vibe is very friendly and communal (especially at dinner) its just easier when you don’t have to rely on others who may have different plans and climbing abilities.